What a curious film to watch as your wedding approaches. 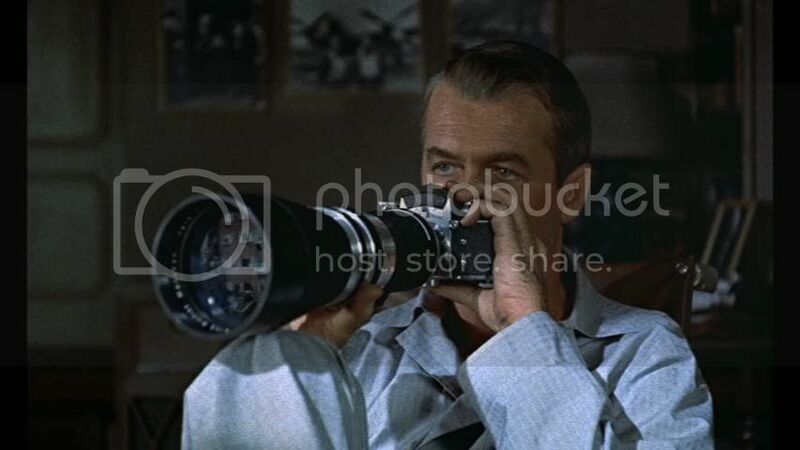 As I delineate in my own look at the film, Rear Window's voyeurism serves a dual purpose, "The theory is that the courtyard pictured above, the one the titular rear window belonging to the convalescing L.B. 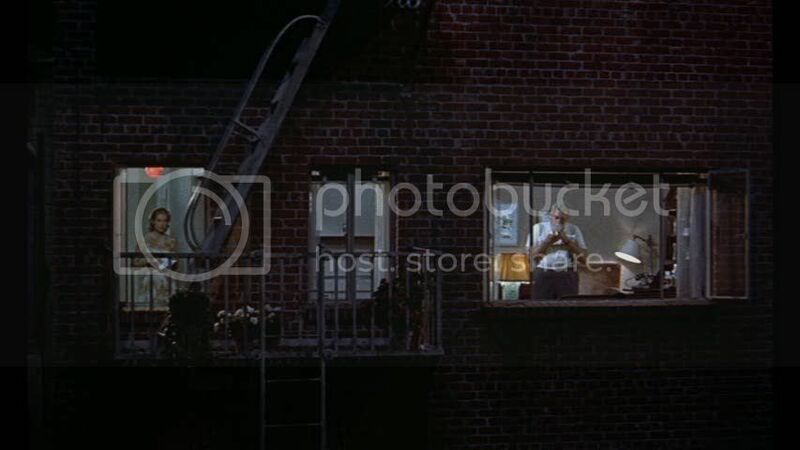 Jefferies (James Stewart) overlooks, is not just a proscenium allowing him to exercise some of his voyeuristic tendencies. 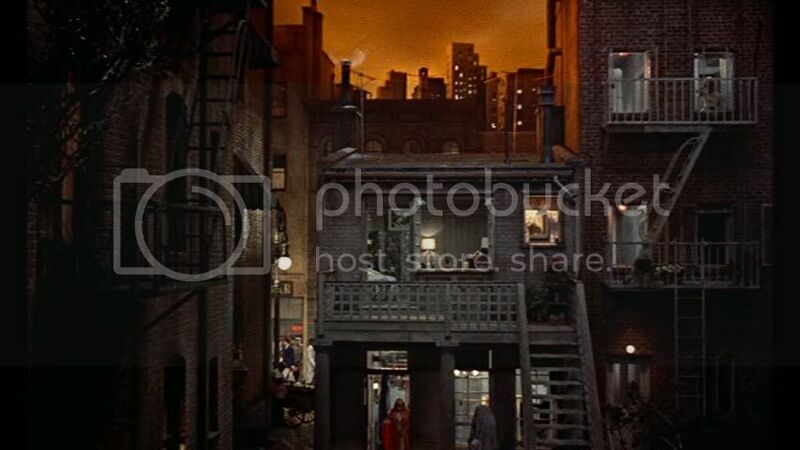 This courtyard and its individual apartments are a physical manifestation of Jefferies' fears in regard to committing to socialite Lisa Fremont (Grace Kelly). Each dwelling represents a compartment in Jefferies' own mind, housing a specific misgiving he has about marrying the eager Lisa." Great point concerning the films voyeurism. This film is for me, as well, one of my favourites, or at least regarding the work of Hitchcock. I really love the collaboration he did with Stewart (especially the film, VERTIGO). On any given day, either this or Psycho is my favorite Hitchcock, and to me, the murder and suspense is FAR from irrelevant. 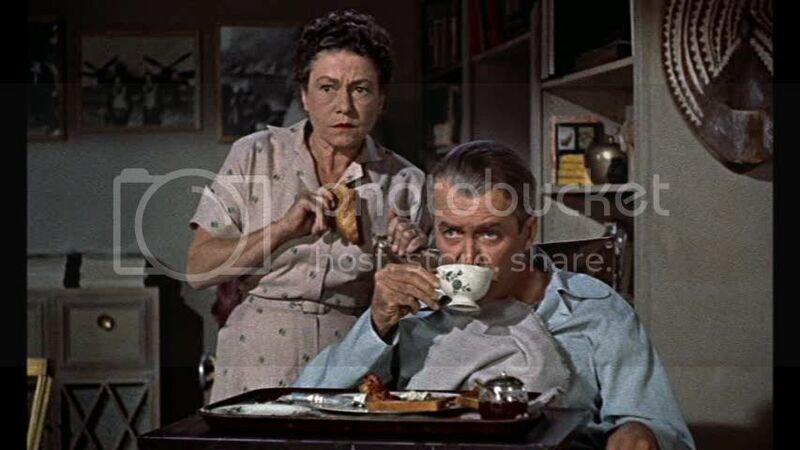 I first saw Rear Window when I was a kid, with my mom, and I was coiled into a ball, literally sweating, when Grace Kelly was in Raymond Burr's apartment, and then again, at the end, when Burr was after Stewart. I can honestly say that no other film has made suspense such a real and physical sensation. And the courtyard that Stewart watches all day is one of the most specific and believable bits of fictional geography I've ever seen. Great movie. Great post. I came to that last capture of Grace Kelly and thought, "I hope Ed's wife is similarly pleased to have landed her man." 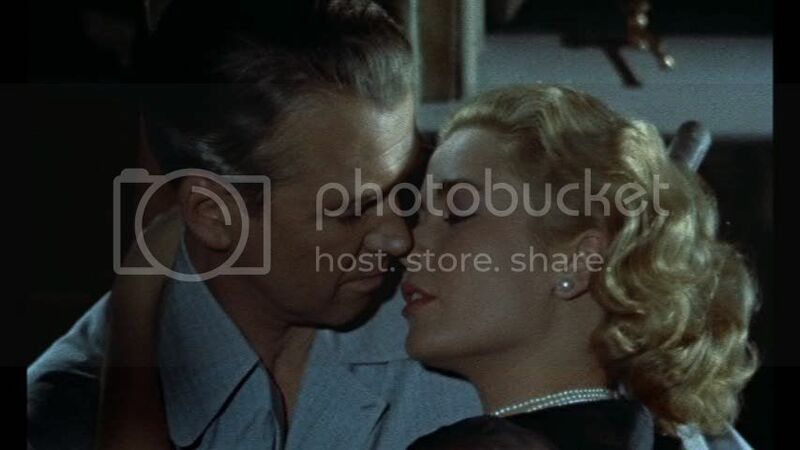 This is quite possibly my fave Hitchcock if only for the incredible chemistry between James Stewart and Grace Kelly, who as you rightly point out, has never been lovelier. I always wondered if David Lynch was a big fan of this film as BLUE VELVET certainly riffs on many of the same themes, esp. the notion of voyeurism and seeing something you're not supposed to and raising the question of whether or not one should intercede. Grace Kelly's presence in this film is the most exquisite female presence in any film in film history. This is the perfect film to show to my students for film history. They love it. Yes, we love to watch. That's why we're here. As you know this film finished first in our 50's poll, and for many it is Hitchcock's masterpiece. I love the film too as you do (and many others here) but I prefer VERTIGO for a host of reasons as Hitch's piece de resistence. But I'll admit it's silly to pit one against the other, especially since it's my second-favorite amongst his work. 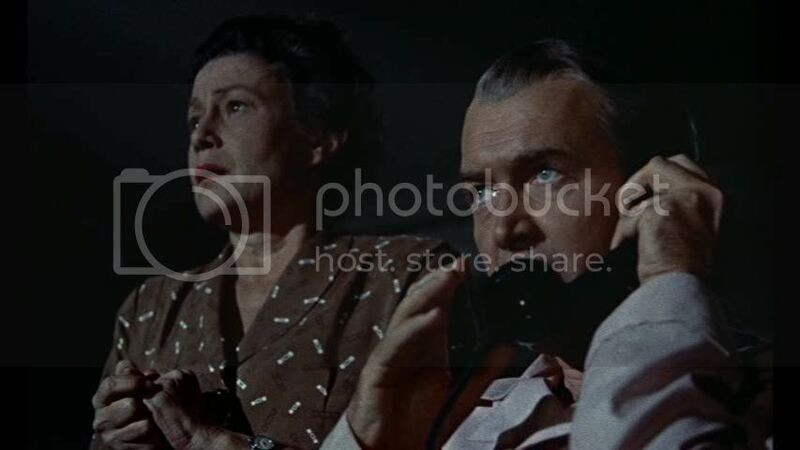 It's the greatest film about voyeurism (I saw Michael Powell's PEEPING TOM three weeks ago at the Film Forum and was reminded yet again how superior this 1954 film is) and it's unique in that it's set in one room, with only one late sequence outside this confine. It's surely the most deliriously entertaining claustrophic film of all-time, and as Hohokey insightfully contends Grace Kelly's presence is incomparably exquisite. It's the Hitchcock film for Hitchcock lovers, an intoxicating and riveting film that slowly envelops, much like truly great cinema should. It's staritng to edge out Vertigo as my favoirte Hitchcock. This was the New York of my childhood (b. 1947) beautifully reporduced on the largest soundstage at Paramount. I love your thoughts on what may be my all-time favorite film. 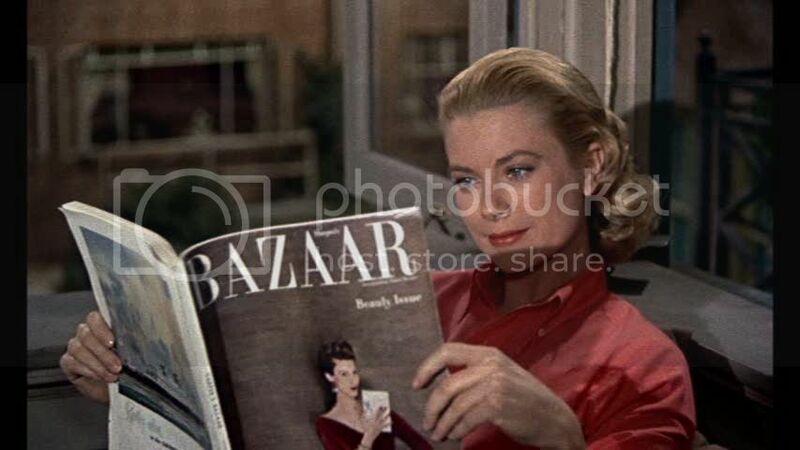 Those screencaps show off just how stunning Grace Kelly is and the amazing screen presence she had. It always made me chuckle that Jimmy Stewart could nab a girl like her at that point in his life (I mean, check out that physique! ), but the two of them (and Hitch) make it completely believable. 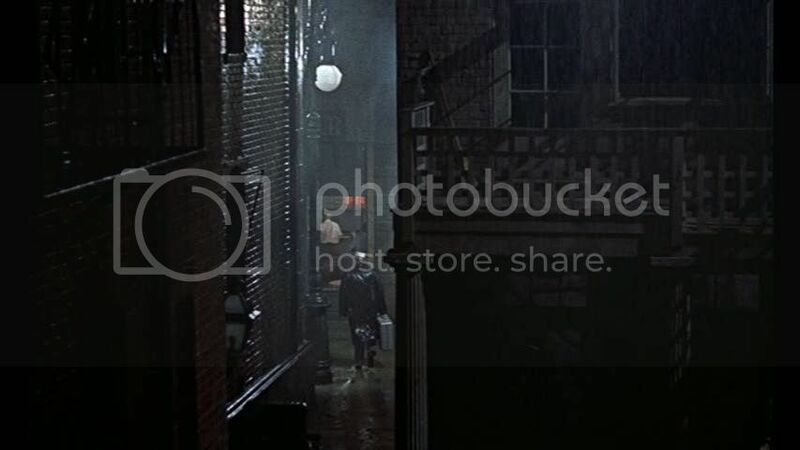 As for the themes of the movie, the whole idea of "we love to watch" is such a simple concept in theory, yet others (as Sam points out) haven't been able to do with it what Hitchcock did here. Thanks for the comments, all. This is definitely my favorite Hitchcock film: there are others that might come close, but this one is just the perfect combination of sparkling star power performances, thematic heft, and Hitchcock's total dedication to the central conceit of keeping everything focused on one room and the view from it. 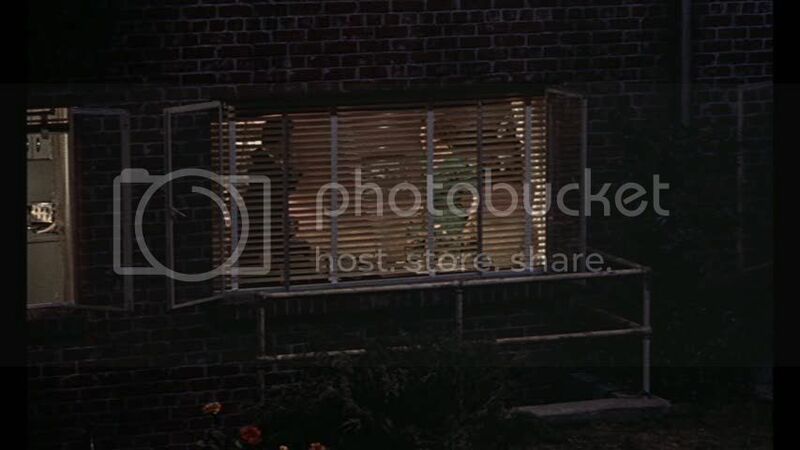 I also like Tony's idea about how what Jefferies sees through his window mirrors his anxieties about impending marriage; hadn't thought of that but it certainly makes sense with the film's other themes. And Bill, I do agree that the suspense here is compelling, it's just that for me the main pleasures of the film, especially on subsequent viewings, are elsewhere. Pretty much one of the best ever. It's so well-written and suspenseful, that I still always forget what happens. 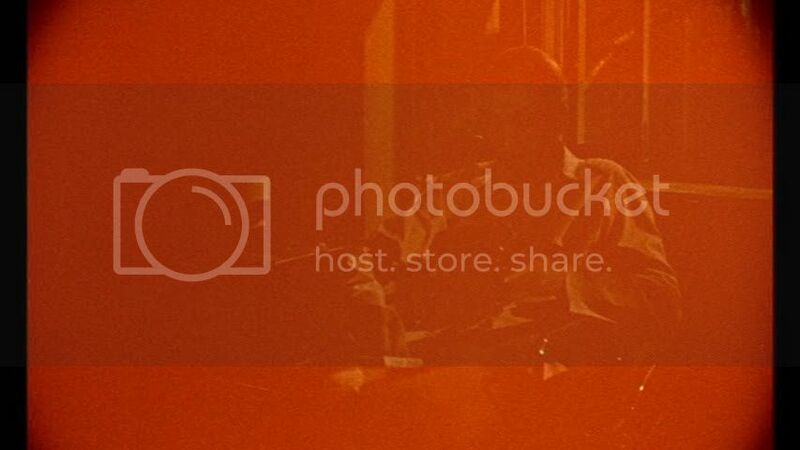 Love the stills you chose. Thanks Jeffrey. I love that effect you describe, where a film somehow continues to be surprising and suspenseful even after its first viewing. Good review. One of the all-time greats. Thanks, Aiden, I agree. One of my top few favorite Hitchcocks -- which automatically means it's one of the best, period. 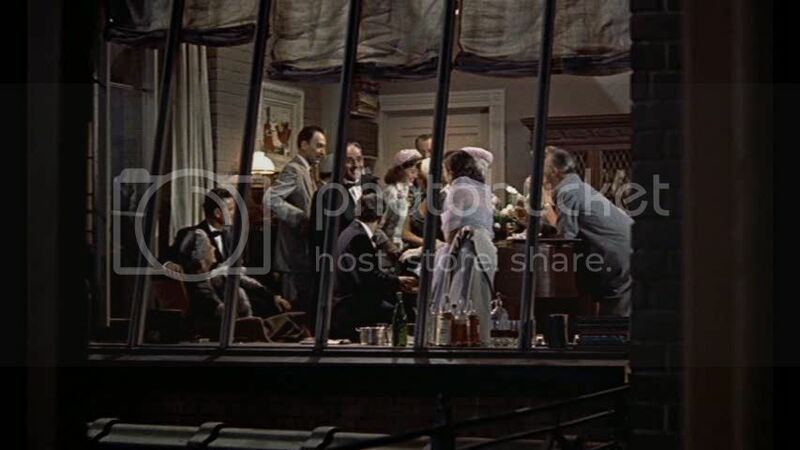 for me, Rear Windows is the best movie of Alfred Hitchcock with Notorious. Hitchcock was a crazy genius. It’s interesting to read your review as well as the comments as Rear Window is not my favourite Hitchcock movie. But now I feel like I may have missed something deeper when I last watched it and have the urge to revisit it. 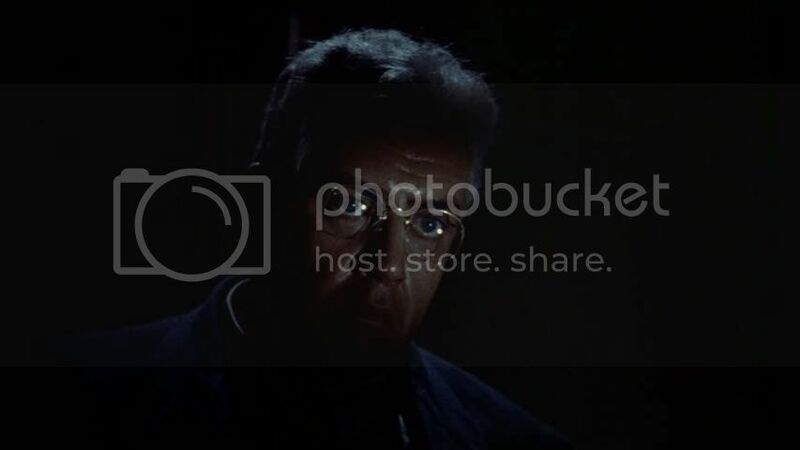 There is no doubt that Hitchcock’s mastery is definitely on show through out the movie, and draws out a great performance from Stewart as well as Kelly, it just for me felt like something was missing. A revisit is definitely due. 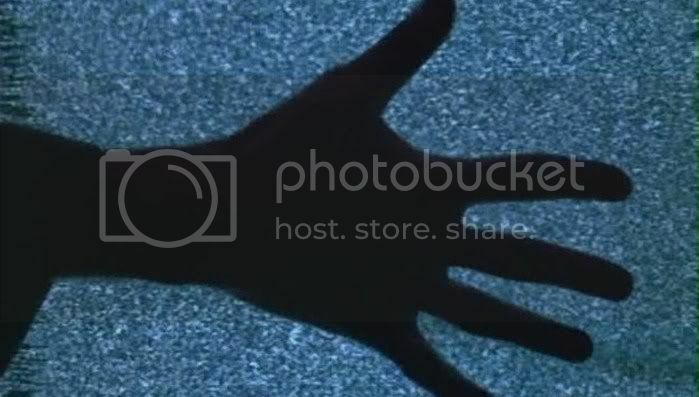 Your Blog is very interesting, as a student in film studies, I really enjoy reading other people's opinions and reviews on such great selection of movies!! This is without doubt one of my all time films along with Vertigo. Some say 'To Catch a Thief' is the role that Grace Kelly was at her most beautiful in. 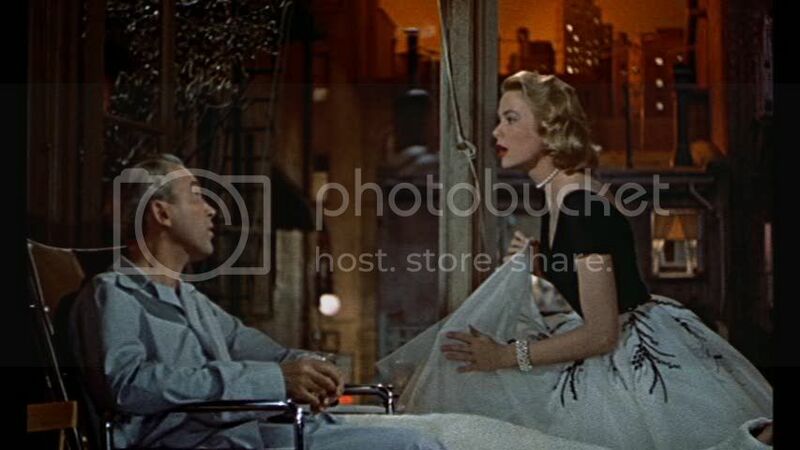 I disagree, I thought in Rear Window she is at her most stunning. 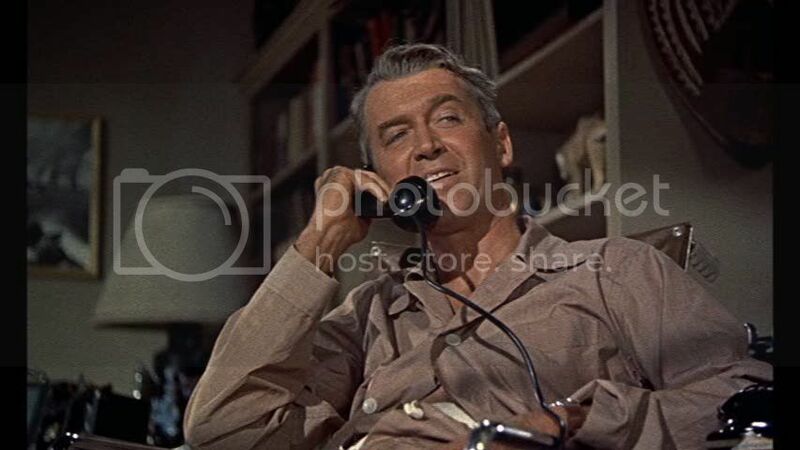 Ah and Jimmy Stewart... the man who was so good he didn't look like he was acting. My favourite actor by far! Thanks for commenting, Brent. This is probably Hitchcock's finest moment. 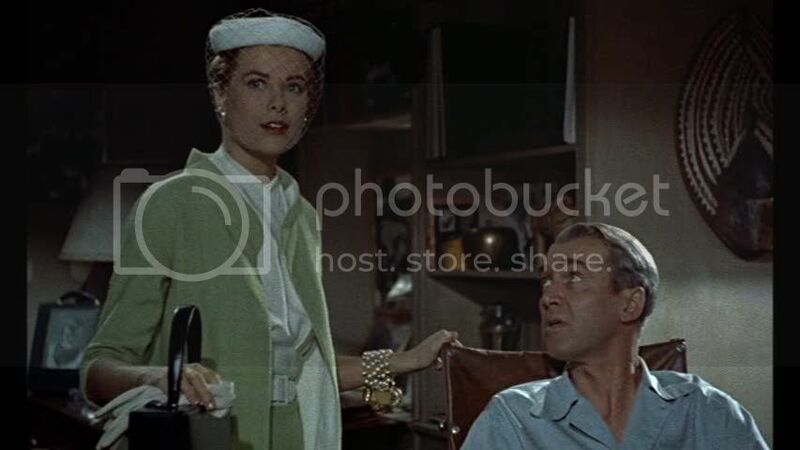 Grace Kelly is, of course, always beautiful, but this is one of her best roles: she's so playful, so charming, that she just lights up the screen until one wants to slap Stewart for resisting her charms. Yeah believe it or not I felt the same way!!. How could Stewart's character not 'want' her then and now! !...I had the same reaction!! 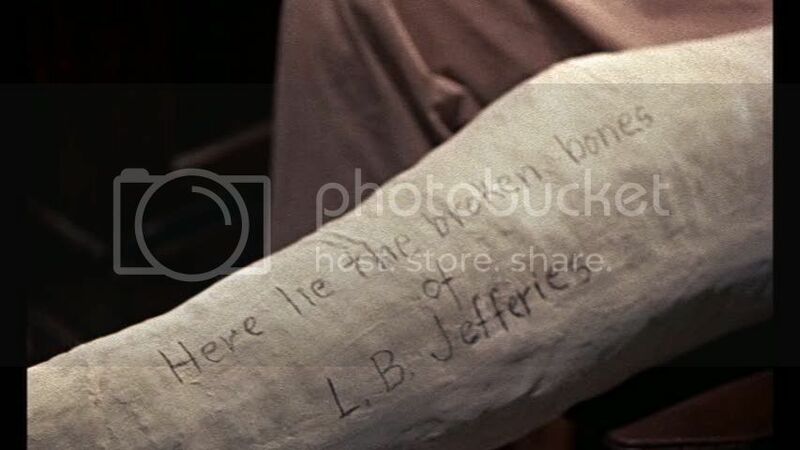 Maybe the sensibilties of the time preveted Hitchcock from really allowing what to show what Stewart's character really wanted to do! Can't remeber when it ended but I've read that actors and actresses when doing a bed scene weren't allowed within a cetain distance of each other. The 'morality in film law' or some such thing. Grace Kelly was certainly of that era. I've read a biography of her and there was a picture in it that clealy shows the space between her and male co-star. Hard to believe when todays films leave nothing to the imagination.